There will be two special promotions during the Songkran Water Festival at the Regent Cha-am, and it will be a great opportunity to get to know the other chess players and their families. On Thursday 13th, there is a Thai Food Four Regions Buffet Dinner at Peppina Lawn – a garden party. The price is a very reasonable 699 Baht per person nett (i.e. tax and service included). 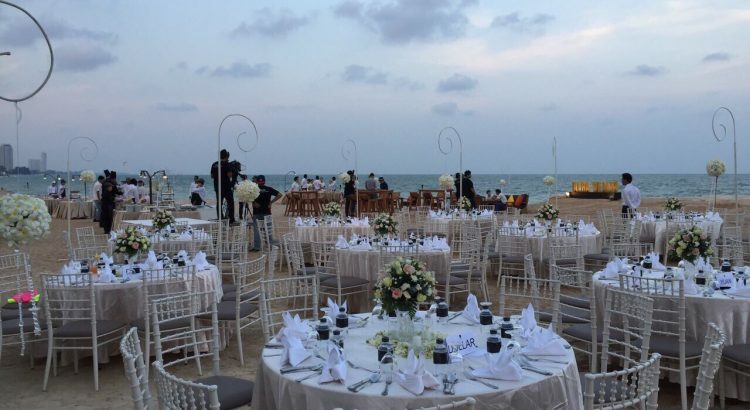 On Friday 14th, there is a BBQ and International Buffet Dinner on the beach, at 999 Baht nett. Join the fun! Booking is required after you arrive – more details available at the venue.